Creating the best gelato you can find outside of Italy starts with getting the basics right. We began by visiting expert Italian gelato makers in Emilia-Romagna to learn the secrets of the perfect gelato base. It took months of learning from the masters and experimenting on our own before our secret recipe began taking shape 2017. Our milk base is creamy but light. It's used in ice creams like our popular 'Cheesecake & Pomegranate' flavour, or our favourite classic, 'Cookies'. But for our sorbetto base we use water and fresh fruits to create a more refreshing and even lighter ice cream. While industrial ice cream can stay on a shelf for months, real gelato needs to be made fresh. During the summer we sold in between 300-350 kg of gelato every day. 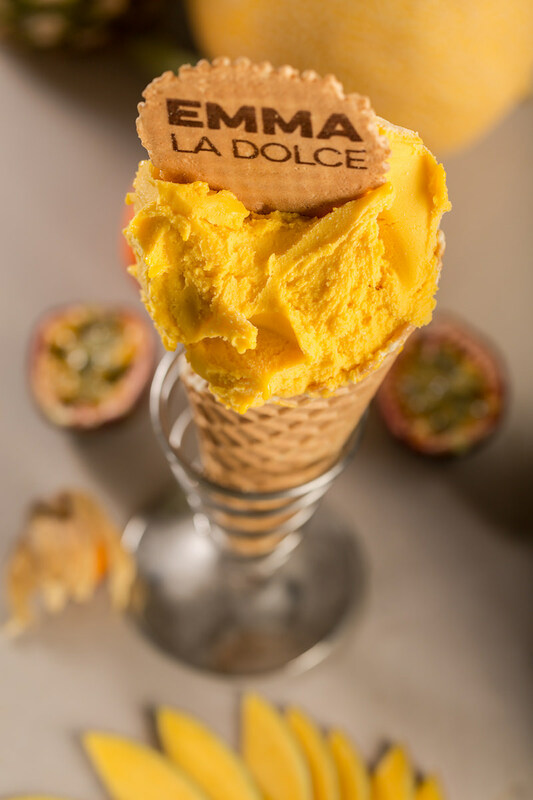 That means having expert gelato makers in the lab is vital in making our delicious final product. In Italy being a gelato maker is a career. So that’s how we approach staff training in Emma La Dolce. Come to visit and you’ll see the passion and expertise. But more importantly, you’ll taste the quality of the results. Visit us today.